So, You’ve Decided to Have a Hair Transplant in Antalya, but what Can You Do Whilst You’re Recovering?! You’ve got everything sorted, the passport is packed and you’re getting excited (and possibly, understandably, a bit nervous but rest assured we’ll do all we can to make you comfortable and supported). But what can you do whilst you’re in Antalya? You might be vaguely aware that that you should be careful about wearing a hat, or getting the sun on your scalp after your procedure, so being in sunny Turkey seems like it could be tricky, right? Your £2,000 fixed fee for a gold standard Follicular Unit Extraction (FUE) hair transplant includes unlimited follicular grafts and transfers from Antalya airport, our clinic and your accommodation. Plus, it includes a three night stay in the beautiful La Boutique Hotel on the stunning Turkish shoreline of the Turquoise Coast. We also make sure you have a hearty breakfast each morning too! La Boutique has multilingual staff, 24 hour security and reception, its own private beach and accommodates adults only. There’s an air conditioned restaurant with an a la carte menu and a separate bar. And there’s also a relaxing spa, sauna, wellness centre, outdoor swimming pool and fitness centre. If you choose to stay at the hotel for a break before your hair transplant procedure, then you’ll be able to make use of all of these wonderful facilities. 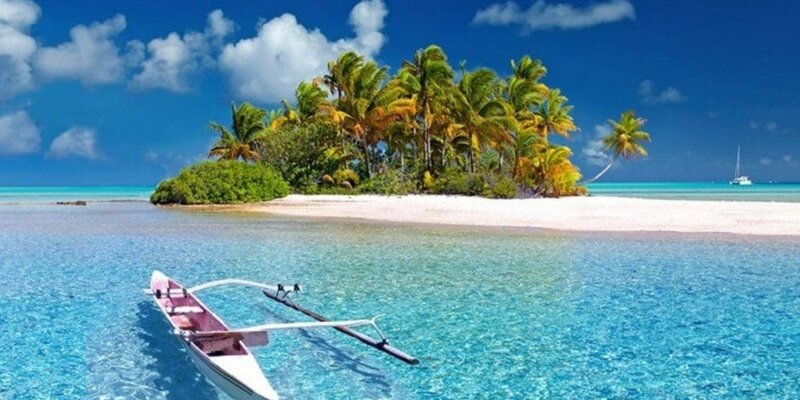 Plus of course you can relax on the stunning beach, just take extra care to make sure you don’t burn your scalp by sitting in the sun unprotected with sun cream or a hat for too long. After your hair transplant, there are some things you need to take into consideration. This is an obvious place to start, and the sad news is, you’ll need to refrain from being out in the sun for any long length of time for three months. The good news is, you’ve just had a hair transplant and within those three months you’ll begin to see your fabulous new hairline returning or developing! So sunbathing is out, and most definitely 100% out for the first 14 days. Strong sunlight can cause irritation to your scalp which isn’t a good idea whilst its healing. The newly transplanted follicles are very delicate and need help settling into their new home. By all means sit in the shade or sit in your hotel room with the doors open, looking out to sea with a cool breeze coming though from outside. It’s important that you don’t get so hot that you sweat excessively during these first few weeks, as this can also negatively impact on wound healing and recovery. Obviously, there’s going to be times when you need to go outside. Getting to and from the clinic, to the airport or simply just to stretch your legs. During this time, we advise that you wear a hat that’s loose fitting and most importantly, clean. When you have a hair transplant with us here at the DK Hair Klinik, we’ll provide you with a suitable hat. Just make sure you take it off when you’re inside, and don’t do anything too strenuous wearing it, so that you avoid sweating. Despite the healing powers of the salt water in our glorious seas, it is not advised that you go swimming for a month after having a hair transplant procedure. This includes swimming in a swimming pool, even if you’re careful not to get splashed, someone else could easily and accidentally splash you. The same goes for using the gym and a sauna – avoid both for the first month post operation. This also includes having a bath, as the steam and heat can make you sweat and you could also put yourself at risk of an infection. Light intensity activity is fine, such as a short walk at a moderate pace, but nothing more vigorous. It’s also advised that you avoid all kinds of sexual activity for the first two weeks. Our experts recommend that you avoid alcohol in the seven days following a hair transplant. Alcohol can affect would healing and could mean that your scalp takes longer to heal, or worse ends up healing badly or getting infected leading to scarring and a bad result. Seven days isn’t long to wait to avoid this risk after all that time in the surgeon’s chair! Excess alcohol should always be avoided but even after the first week is up, you should tread carefully, literally. Alcohol diminishes our reservations and sometimes makes us braver than we actually are. This can lead to risk taking and accidents, and you don’t want to be knocking or banging your scalp and all those delicate hair follicles on anything. Smoking is a no-no for the first seven days too. Smoking prevents oxygen getting to the tiny blood vessels of the scalp which also slows down the healing process and can mean you’re at an increased risk of developing an infection. If you do smoke, speak to your surgeon about the safety of nicotine replacement patches or gums or using a vape. In the two weeks leading up to your surgery, it’s advisable to stop smoking and to cut down on alcohol to put you in the best health possible. Talk to your surgeon if this gives you any concerns. These all might seem restrictive, especially being in such a beautiful place and hotel, but they’re all in your best interests. And it’s also why many people choose to spend some time relaxing in Antalya before having their hair restoration procedure. And even if you do feel restricted, if you bring along a loved one, they can make the most of the facilities, before coming back to care for you! Besides, simply being in such lush, relaxing surroundings will help you recuperate, we promise. Who wouldn’t want to do that in a place as lovely as the La Boutique Hotel?? If you do have time before your hair transplant, there’s plenty to see in Antalya. There’s something for everyone from the beach lover to anyone interested in traditional Turkish culture. There’s even a water park! For culture vultures, there’s ancient ruins to explore, and museums showcasing exhibits from the Ottoman times and long before. Try a guided tour of Antalya if you’re pushed for time and need help from the experts or if you’re feeling more adventurous, try a guided tour of Istanbul with short flights included. Or you could take in a visit to a traditional Turkish bath hammam and experience a relaxing sauna like atmosphere and invigorating body scrub. And of course, there’s plenty of restaurants to enjoy and beaches to relax on. Take into account all of the advice we’ve mentioned above and there’s no reason why you can’t enjoy taking in the sights before your procedure and simply chilling out afterwards. 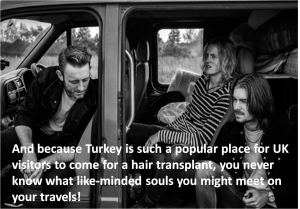 And because Turkey is such a popular place for UK visitors to come for a hair transplant, you never know what like-minded souls you might meet on your travels! It’s easy to get in touch with us, so if you have any more questions, please don’t hesitate to ask.